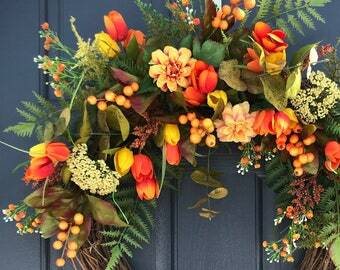 A lot of customers have loved this coral color. 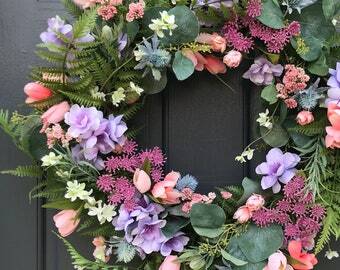 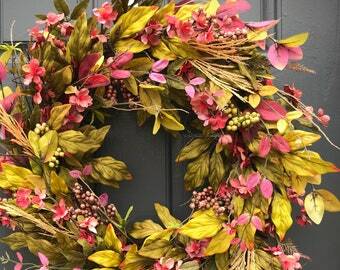 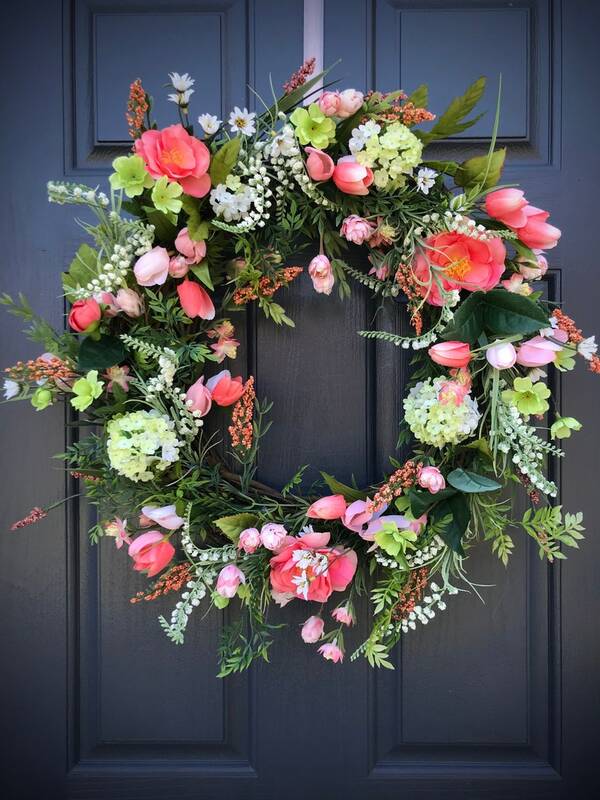 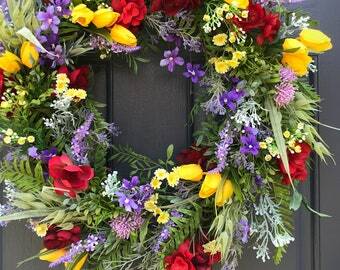 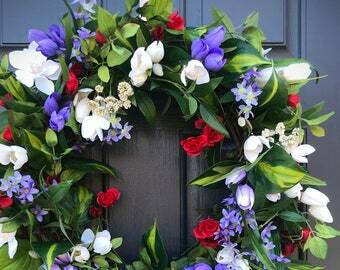 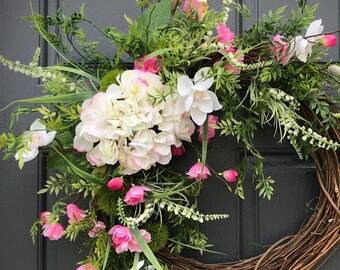 A mix of flowers among various ferns and greenery create a bright and welcoming wreath for any home. 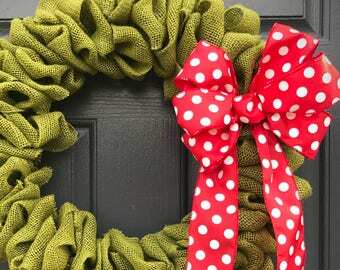 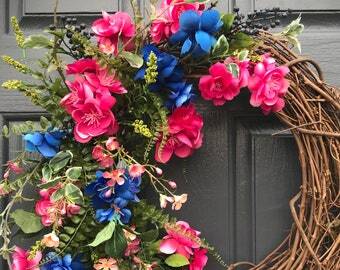 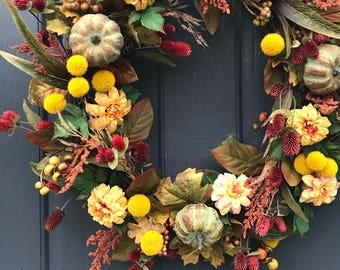 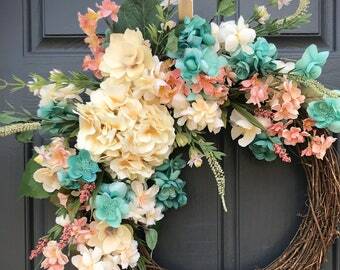 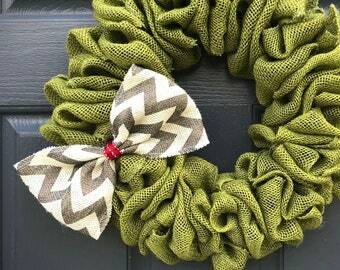 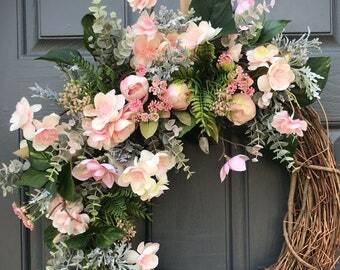 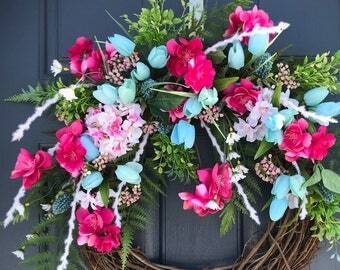 The measurements above are based off of the tips of the wreath. 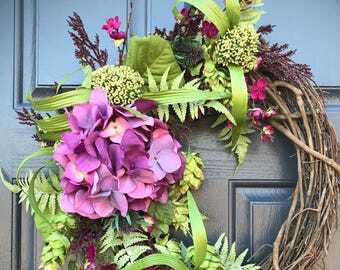 The base is an 18 inch grapevine wreath.